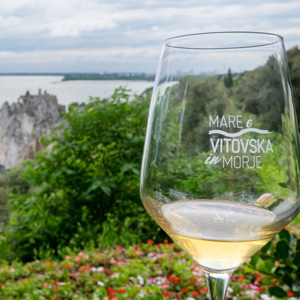 Vitovska is a white grape vine that has always been cultivated in the province of Trieste and in neighbouring Slovenia. The origin of the name is still uncertain, but probably the name of the vine is of Slovenian origin. There are some, who claim that the origin of the name comes from the Slovene word for knight (vitez), meaning the wine of the knight, or from the word vitica (tendril). Unlike other varieties, whose ancient or more recent origins are well known, Vitovska can be considered as an autochthonous variety. There is no trace of this variety in other regions of the Mediterranean and its history has been lost in the folds of the centuries reaching, through a long process of adaptation and selection, the current characteristics that allow to yield results in the red land of the Karst where this variety is able to withstand, bruised by the Bora wind, the cold winters and the drought of the hot season. 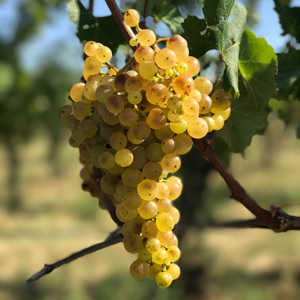 The wine obtained from the Vitovska grape is straw yellow with greenish nuances. This is a dry wine, fresh in acidity, with fruity notes of Williams pear and sage, sour, well-bodied, with a mineral note. Pleasant taste and a pleasantly bitter final. Producing wine on the Karst is very difficult: this is a purely heroic viticulture: remove the rock, meter by meter, with the pewter, lay a layer of fertile red iron soil hardly removed from the doline and plant a vine. Today Vitovska is the queen of the Karst, a unique territory in the world.